On a downtown site once seen as a “black hole”, Milwaukee’s newest, most unexpected and most unconventional public space is emerging. An asphalt desert at the corner of N. 5th Street and W. Wisconsin Avenue has been transformed into TheSpot4MKE: a fun and flexible place for all Milwaukeeans to meet and celebrate the arts, culture, and character of their city. The community has claimed the pavement as a vivid civic canvas, and new furniture provides a comfortable perch to savor a meal from a visiting food truck or watch the local samba drum group’s weekly outdoor rehearsal. A repurposed vintage trailer is now a home base for artists in residence, and supports daily activities including games, concerts, and gatherings. 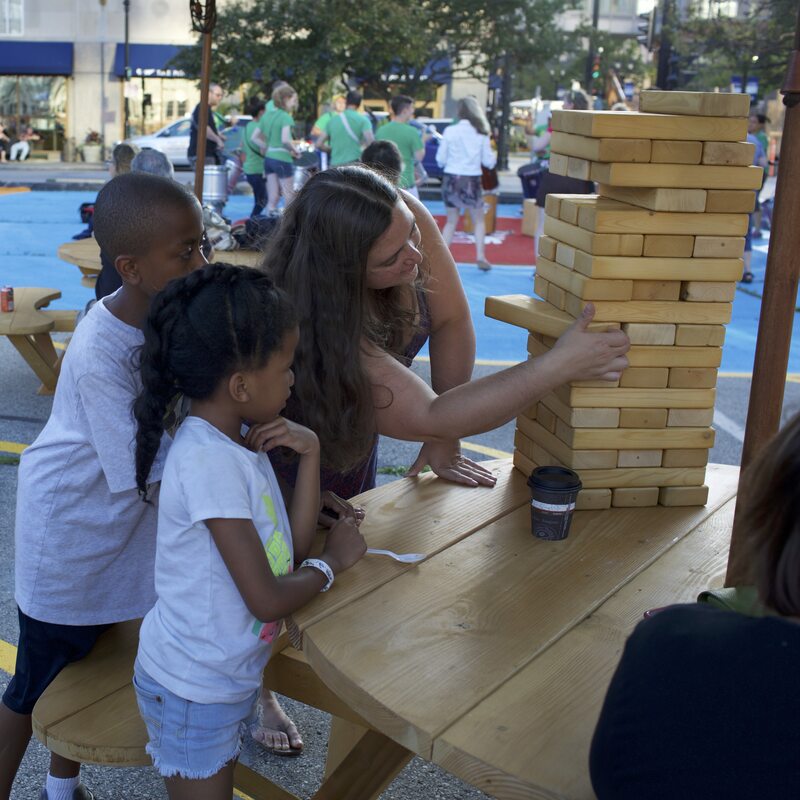 Prior to receiving support from the Southwest Airlines Heart of the Community Program, Creative Alliance Milwaukee (CAM) led a robust public engagement and visioning process where thousands of Milwaukeeans shared their creative ideas. The community collectively determined that the best use for the parking lot was an active and flexible public space. The next step was to test this revolutionary idea using a people-focused Lighter, Quicker, Cheaperapproach. Today, with a full season of programming under their belts, CAM and their partners are planning a promising future for The Spot 4MKE, and are working to expand on the inspiring and dramatic change they’ve already sparked.